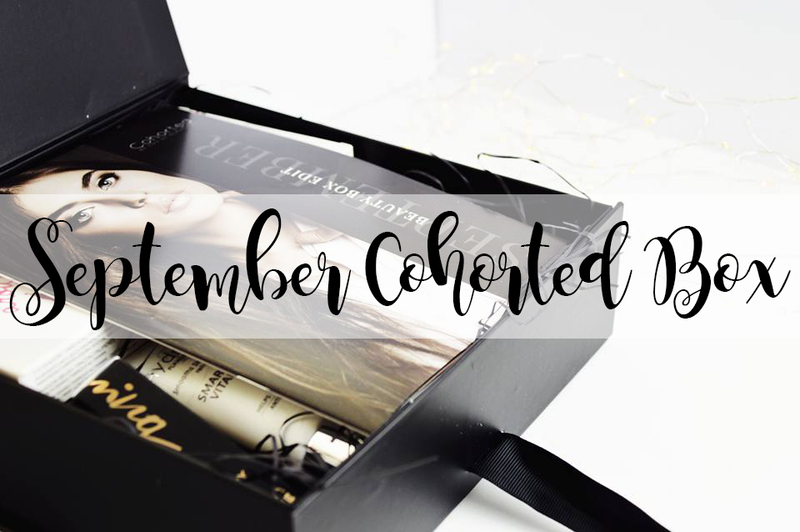 I'm so excited to be sharing with you the September Cohorted Box; I absolutely loved telling you all about the August box which you can read about here. As usual I am going to run through the whole ins and outs of the Cohorted brand and what they're all about. If you have never heard of this brand before then it is a luxury subscription box which costs £35 every single month where you will have the most beautiful black box (pictured below) delivered right to your door. The best thing about Cohorted is although you are spending £35 a month for a box of goodies to be delivered, you will always receive up to £70 of gifts inside, if not more which is incredible for a beauty box; so you will always be doubling your money of what is inside this beautiful black box. 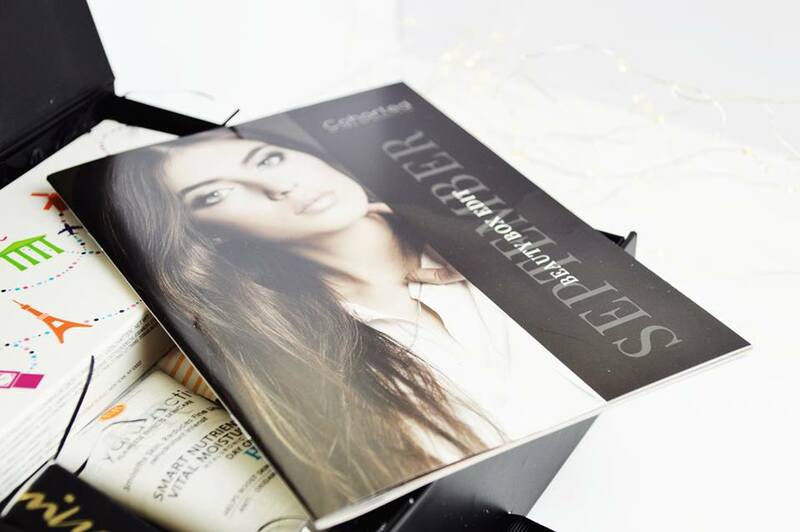 In every single Cohorted Beauty Box you will always find an A5 magazine which will tell you everything you need to know about the products which are inside the box. So you can go straight ahead and look at the magazine first and read up about the products before handling the products and smelling them etc; or you can do it the other way around. I prefer to look at the products first before looking through the magazine but that's just my preference! What I absolutely loved about opening up the Cohorted Beauty Box is how every single product is laid out right in front of you in the neatest way possible; not messy, not just thrown in there. You can really tell this has had time put into to make it look the way it does. Having it this way you can open up the box and see exactly what is inside without having to move things around first just to have a look at them. As shown above in this box you will find: Lica Cole The Good Vibe Discovery Kit, Figs & Rouge Smart Nutrient Vital Moisture Day Cream, Cargo Around The World Eyeshadow Palette, A small Benefit Roller Lash Curling Mascara and Smith & Cult The Shining Lip Laquer. For all 5 of these items, you have a box worth £114, for just £35! I haven't had this subscription box a week yet and I have already found products which I absolutely love and will continue to use. For starters the Figs & Rouge Day Cream is now a part of my daily skincare routine. I love the consistency of this product and the way it makes my skin feel after I have applied it. It's silky smooth and doesn't have a prominent scent; another reason why I prefer this day cream to many others. The Cargo Eyeshadow palette is another gorgeous product which I know I will love and use a lot. This product is arranged into three quads with 6 matte and 6 shimmer shades. Not only would this palette be perfect for an everyday look; the shades are gorgeous for all year round. One product I knew I would always love is the Benefit Roller Lash Mascara and I'm so glad this mascara was included in the box; I'm always hearing people rave on and on about it yet I've yet to try it. This mascara leaves your lashes looking natural with no clumps, however it does lengthen and darken your lashes at the same time. I found the first time using this product by the end of the day I had a lot of mascara underneath my bottom lashes; apart from this, I love the results this mascara gives. Have you tried out any of these products? Let me know! You can receive a free gift if you're a new subscriber. Just use the code "COHORTEDGIFTME" at the checkout! I have never tried a Cohorted Box and always been tempted! Looks great this month! 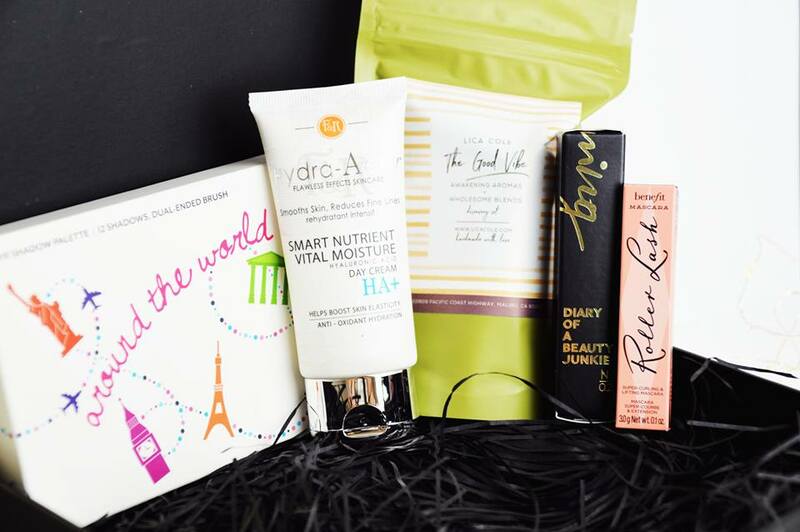 This looks like a good subscription box! Never heard of the company, but now I'm interested!